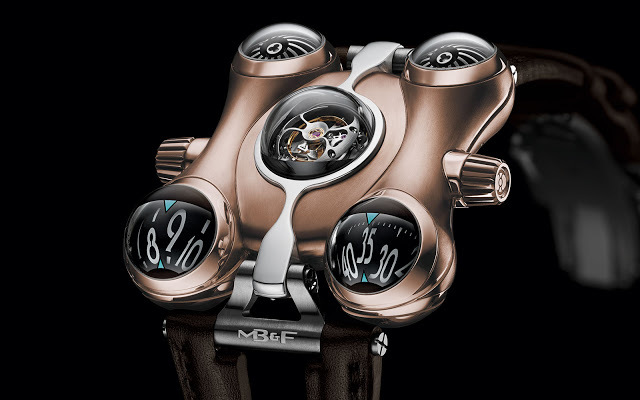 MB&F has just revealed the HM6 RT, a variant of its sixth Horological Machine made of titanium and a special, fade-resistant red gold alloy, limited to just 18 pieces. 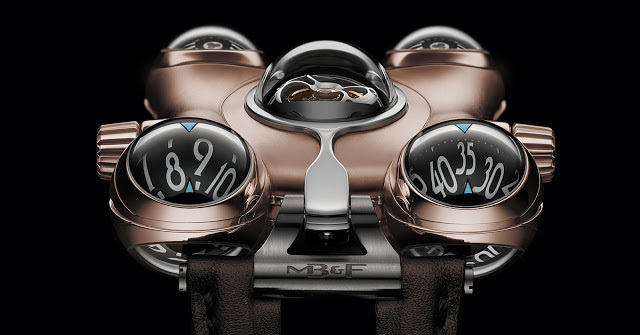 First introduced in titanium, the MB&F HM6 is now available in a more precious alloy, red gold. But not just any red gold, the HM6 RT case is 18k 5N+ red gold, an alloy with extra palladium mixed in to ensure the metal keeps its red hue permanently (ordinary red gold, sans “+”, tends to fade over time), making it similar to the Rolex Everose and Omega Sedna gold alloys. Red gold is combined with titanium to create the sleekly rounded case of the HM6, a distinct departure from the more angular forms that characterised the earlier Horological Machines. 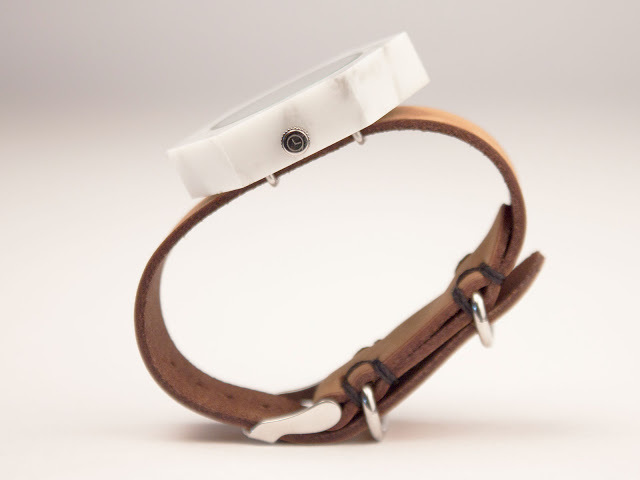 Measuring 49.5mm wide and 52.3mm long, the large case is alleviated by the hinged lugs that hug the wrist. While the first generation HM6 in titanium was lightweight due to the case metal, the HM6 RT tips the scales at significantly more since gold is much denser than titanium. Material aside the HM6 RT is identical to the titanium version, with the movement inside developed by MB&F and David Candaux, a movement developer who’s an alumus of Jaeger-LeCoultre. A total of ten sapphire crystals are required for the case. 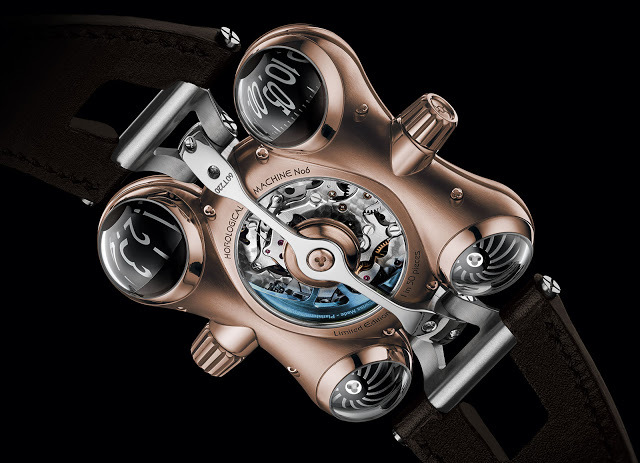 A flying tourbillon sits under the large domed crystal at the centre of the case, along with a retractable hood controlled by the crown on the left of the case. The time is displayed on aluminium spheres on the two lower corners of the case, while the two upper corners are occupied by spinning turbines. Each of these requires two crystals, for the top and underside of the case. Linked to the winding rotor, the turbines help regulate the speed of the rotor. The HM6 RT is priced at SFr220,000 plus taxes. That equivalent to US$233,000. 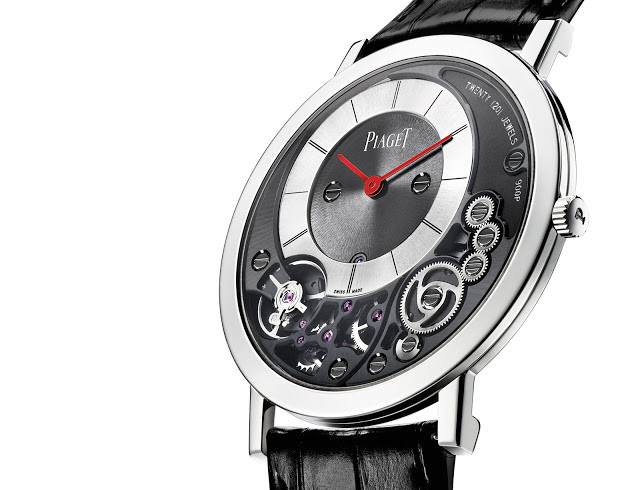 The thinnest mechanical watch in the world, the Piaget Altiplano 900P is given a pair of red hands to create the unique edition for Only Watch 2015. Introduced two years ago, the Altiplano 900P is the thinnest wristwatch on the market, standing just 3.65mm high, case and all. 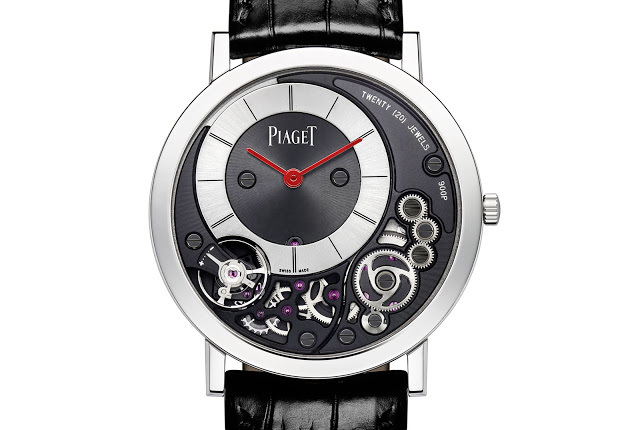 For Only Watch 2015, Piaget has added a dash of colour to the Altiplano 900P with the hour and minute hands in bright red. The 900P manages to be so thin thanks to its unusual movement that combines the movement and the case, an idea originating in the ultra-thin Jean Lassale movement of the 1970s and now found only in quartz watches. Instead of a base plate as the foundation of the movement, the gears of the movement are mounted onto the case back, eliminating the height of the base plate in a conventional movement. And the escapement and gear train and laid out around the dial, rather than underneath it, further shaving off the millimetres. This construction has the advantage of giving life to the dial, which shows the balance and escape wheels in constant motion, in contrast to the typical ultra-thin timepiece that is entirely static. 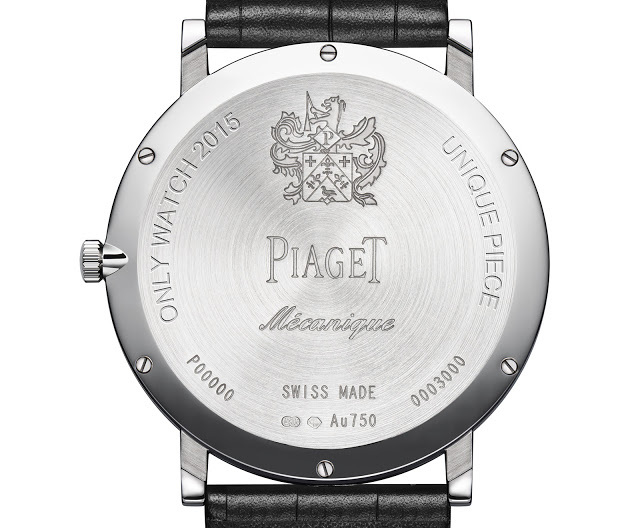 The Altiplano 900P Only Watch edition is also engraved as such on the case back. Only Watch 2015 takes place on November 7, 2015 in Geneva. A total of 43 watches (see the rest of them) will be sold, with all proceeds going towards research into Duchenne muscular dystrophy. 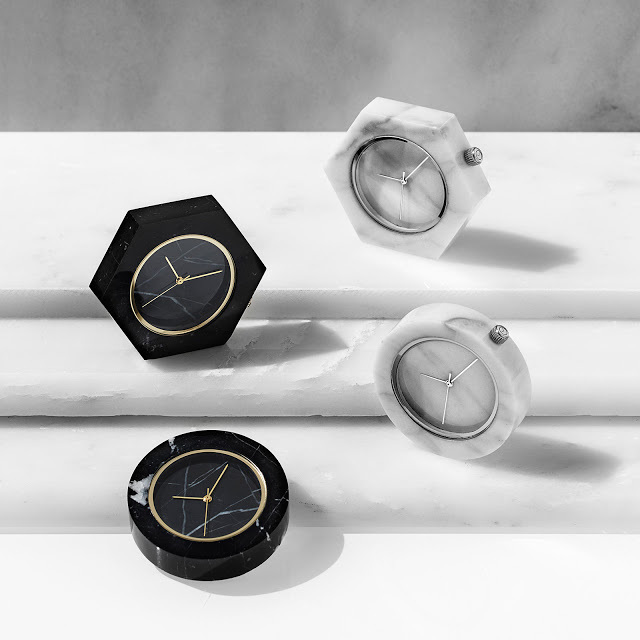 A Kickstarter project by Analog Watch Co., the Mason Watch has a case and dial made of marble, available in two shapes and fitted to a Zulu-style leather strap. 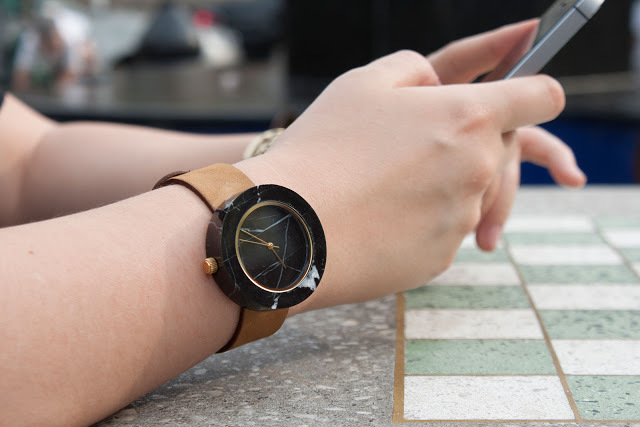 Philadelphia-based Analog Watch Co. offers affordable timepieces made of unusual materials, including woods like teak and bamboo. Its latest project is the Mason Watch, an affordable wristwatch with a marble case and dial. Similar in many respects to the Tissot Rock Watch of the 1980s, which was made from Swiss-sourced rocks and minerals, the Mason Watch is available with a round or hexagonal case. Both case shapes measure 41mm in diameter from nine to three o’clock. Inside a basic but effect Ronda quartz movement. Polished to a slight gloss, black or white marble is available, both showing the characteristics striations of the rock. Available with gold or silver plated accents (the hands, dial flange and crown), the case has a metal back with two metal loops to accommodate a Zulu- or NATO-type (or RAF-type for traditionalists) strap. 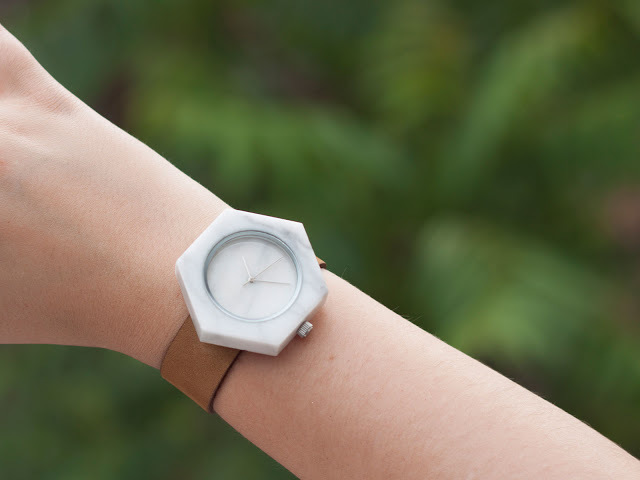 The Mason Watch costs US$165 for early bird backers, and rising to US$180 subsequent backers. Details can be found on its Kickstarter page.